This time I have no excuse. I have not been on holiday. I haven't even taken a long weekend. I have however been working, but probably not as much as I should have. But it is not to be, for now anyway. For the moment, this moment of reflection, I'd like to show you todays happynesses. I went into town today to meet a friend and go for a hot beverage. I came back with two old, smelly and very cheap pots from my local thrift/charity store to home my latest hoardings. They are truly hideous, but I love them. It's here! I am fast becoming infatuated with this paperback marvel. 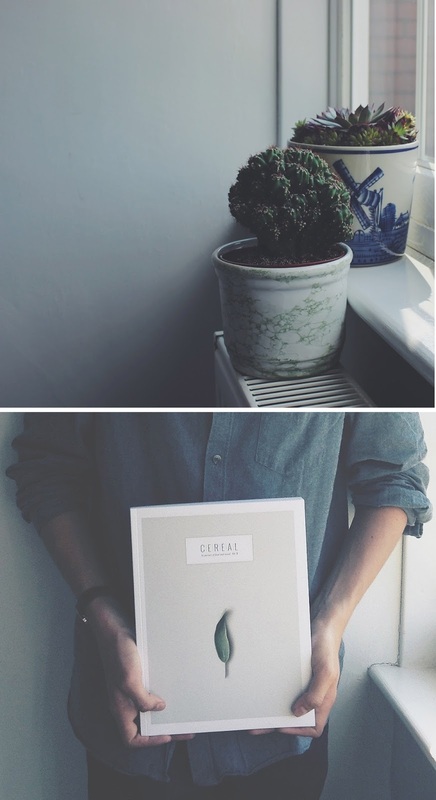 and order your copy of cereal from here.